With Brexit looming, financial service companies are preparing themselves to ensure that they're ready for differing scenarios. Can asset managers still sell their products in the UK and the EU? Will they need to set up a new structure in order to do so? What are the consequences of Brexit on existing contracts? One thing is for certain: The fund management landscape is set to change in the coming years. Currently, there are still many unknowns ahead of the March 2019 deadline, including whether EU investors will still be able to invest in UK funds and vice versa. Whilst the draft EU/UK Withdrawal Agreement contains provision for a transition period until December 2020, in the event of a no deal Brexit scenario EEA firms will no longer be able to passport into the UK. To address this, the Financial Conduct Authority (FCA) has created the Temporary Permissions Regime (TPR), to allow relevant EEA firms and investment funds to continue to access the UK market in a no-deal scenario, whilst seeking full authorisation or recognition in the UK. The TPR notification window opened on 7 January 2019 and closes on 28 March 2019. The temporary permission window will last for a maximum of three years, investment funds will be given a ‘landing slot' to submit an application/notification for recognition and so the period spent in the TPR will vary from fund to fund depending on the landing slot. Once in the TPR, firms will be given an application period to submit their application for full UK authorisation. Investment funds will then be able to continue to market to investors in the UK for up to three years. Asset managers are likely to expand their presence in the UK over the coming years, according to our research - ‘Supporting Your Multi-Market Growth Strategy: A UK Focus'. 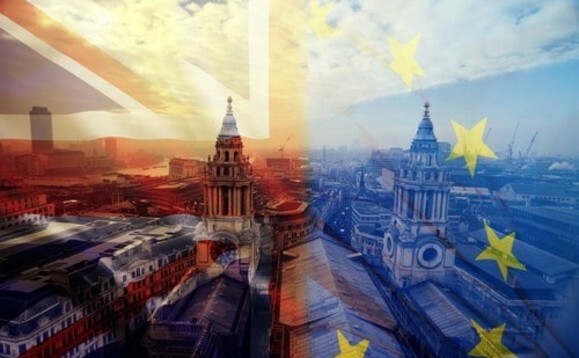 The results show nearly a quarter (24%) of investors believe that more European based fund managers will look to open offices in the UK following Brexit. Brexit isn't the only impetus driving business into the UK. The UK market was among the top five most sought-after domiciles in our 2018 study of asset managers. According to our latest ‘Brexometer' survey, this sentiment has strengthened over the past few months, with the UK rising to fourth in the ranking as the most attractive location for managers looking to expand their cross-border fund business. It is also the largest centre for fund management in Europe, with 40% of all assets managed on behalf of overseas clients and a total of £1.7trn invested in the UK economy through asset managers. The primary reason that European fund managers cited for expanding operations in the UK is due to the access to a huge amount of investment management expertise (59%). This is followed by the belief that London is still a very desirable place for senior executives to come and live (33%), while the existing investment management opportunities, regulatory environment and ability to protect UK investors all followed (31% each). The greater the UK investor exposure in an offshore range, the more likely it is for fund managers to consider a potential UK fund launch (investment trusts, OEICs, unit trusts and Authorised Contractual Schemes). All in all, it looks like the UK will still be an attractive market over the next few years.